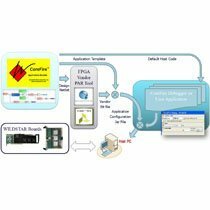 The CoreFire Next Design Suite is a dataflow-based development system that brings new levels of ease and speed to FPGA programming on Annapolis Micro Systems, Inc. high-performance motherboards, I/O cards, and mezzanine cards. 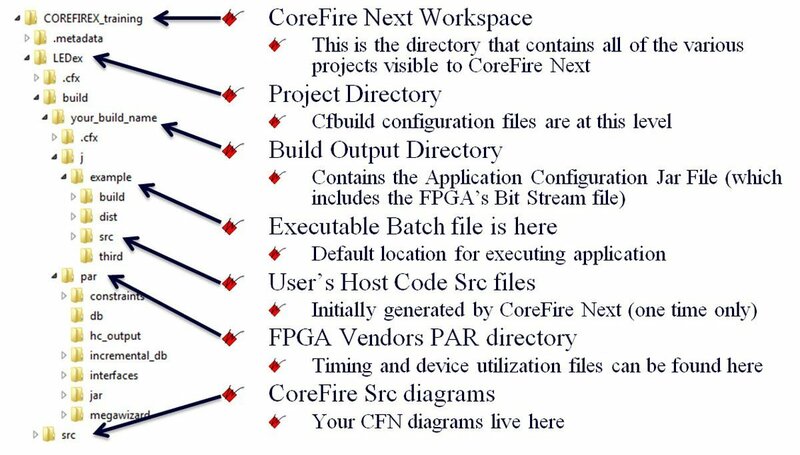 The CoreFire Next environment supplies user-made connections between ready-made programming modules, or cores, and manages multiple domain requirements automatically. CoreFire Next eliminates the need for hardware design languages: the user simply creates dataflow diagrams by dragging and dropping cores, or building blocks, from the libraries, and connecting their ports. Cores automatically work together to handle synchronization, manage clocks and other low level hardware signals, and guarantee correct control by design. CoreFire Next allows standard data types (see Data Types and Values) and supports data type propagation, where modifying a data type will automatically propagate through the rest of the CoreFire Next design. As a result, CoreFire Next allows the user to program and debug complex FPGA designs at a high level of proficiency. CoreFire Next’s drag-and-drop method of building designs allows for ease of use, which helps make the tool easy to learn. 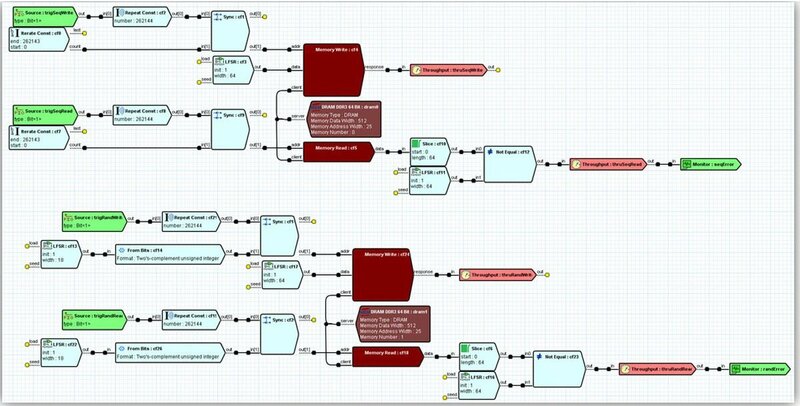 CoreFire Next presents the user with a simple way of visualizing designs, rather than extensive and confusing code. Because of this, the user does not have to be a skilled or experienced digital hardware designer. Designers of many different disciplines can use CoreFire Next to create applications. 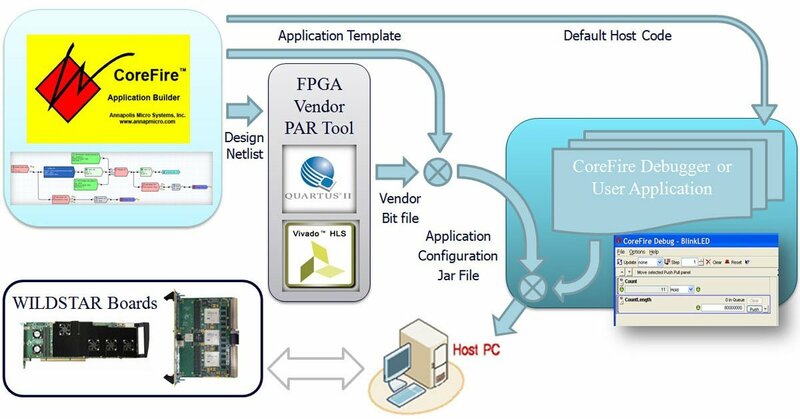 Learn about our other FPGA programming software tools, Open Project Builder and VHDL. 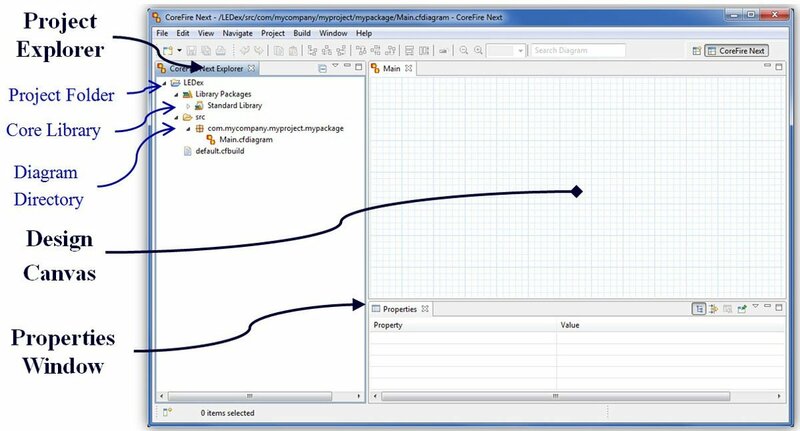 Supports Conversion Between Data Types – Bit, Signed and Unsigned Integers Single Precision Floating Point, Integer and Floating Point Complex Data Types and Array Types.